The cold temperatures of winter are finally starting to thaw out now that its spring. If you’ve had any issues with your heating system this past winter then now is a great time to consider switching out your system for something better. Now is a great time to upgrade because you won’t have to worry about relying on your heating with the prospect of warm weather on the horizon. If you’re one of the many people who have a forced-air heating system in their home don’t immediately upgrade to another forced-air heating system just because it’s comfortable. 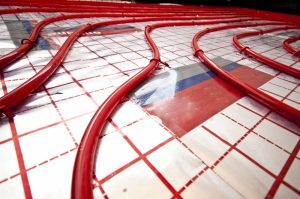 Although you might not be as familiar with radiant heating, it’s a great option. Contact our team today.